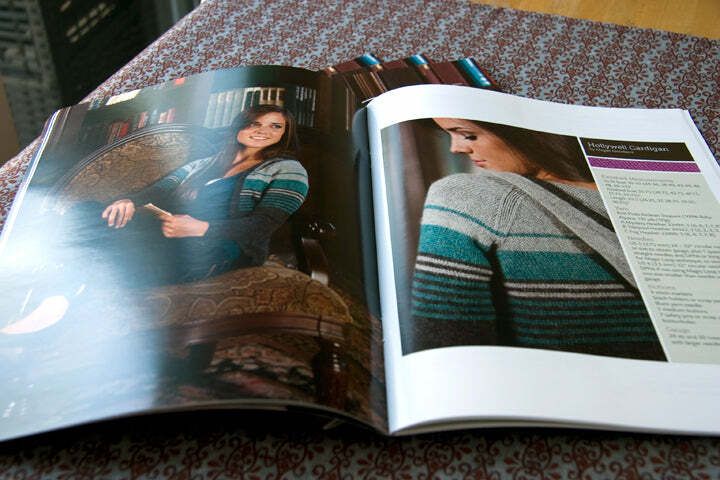 Home / Knitting blog / Study Hall Knits in Print! Study Hall Knits in Print! 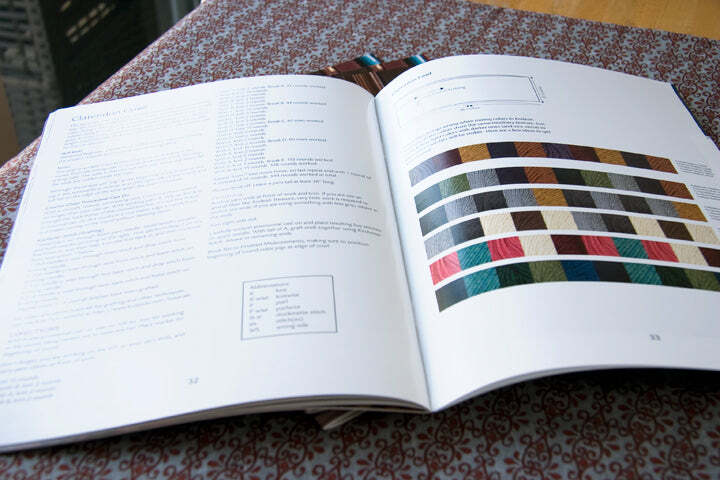 Knit Picks is doing something pretty cool; they are taking some of their eBook pattern collections, and getting them printed as these really nice, high quality books. In this digital age, so many of us have moved over to screens instead of paper, but there is something wonderful about print and the feel of smooth paper and the smell of ink. This will make a great gift for someone who is looking for an approachable collection of wearable garments and accessories. And sometimes you really want to give a physical gift, rather than a card that says "I'll email your gift later, just, um, can you write down your email for me?" 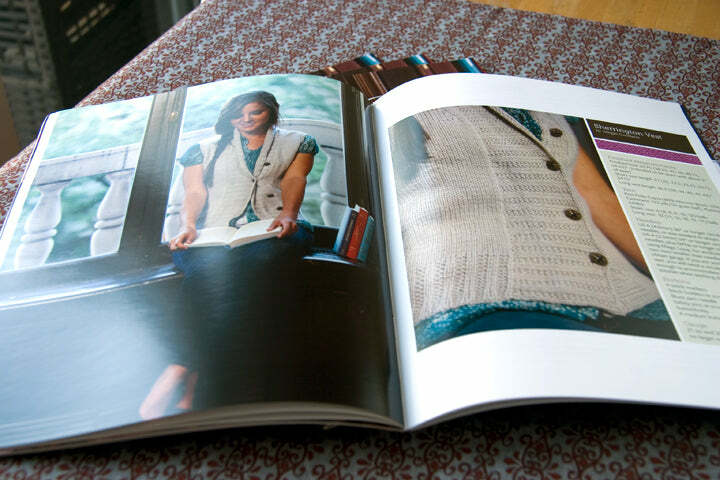 The Study Hall Knits book has the same content as the ebook: 6 patterns including a women's hooded cardigan, a men's funnel neck pullover, a striped hat, 2 cowls, and a women's buttoned vest in two lengths. It's 35 pages, on lovely smooth, bright white glossy stock, with lots of full page, full colour images. As you can see, lot's of detailed schematics, colour palette suggestions, and close up shots. 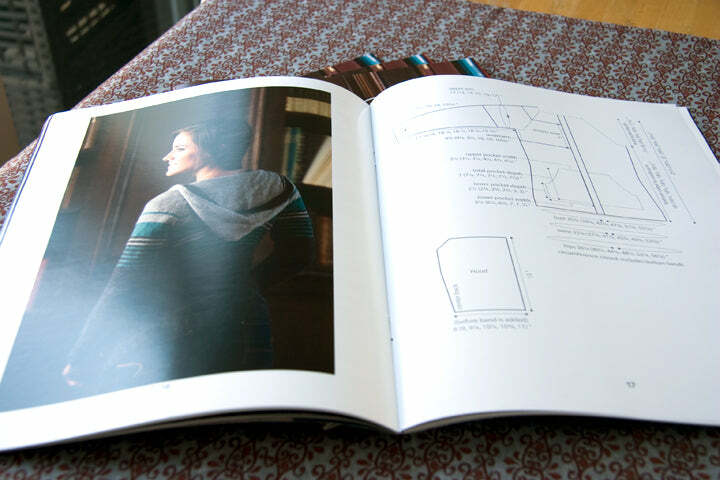 I have a few of the printed books in stock, or you can order them from Knit Picks. The printed book is $14.99 and the downloadable eBook is $9.99 at Knit Picks. Just want one pattern? No problem, you can also download any of the patterns in the collection individually for $4.99.